Fill glass halfway with champagne. Top off glass with stout beer of choice. To “float” the beer on top of the champagne and create separated layers, turn a spoon upside down over the glass of champagne and pour the beer over the curve of the spoon into the glass. This will keep the two from combining. 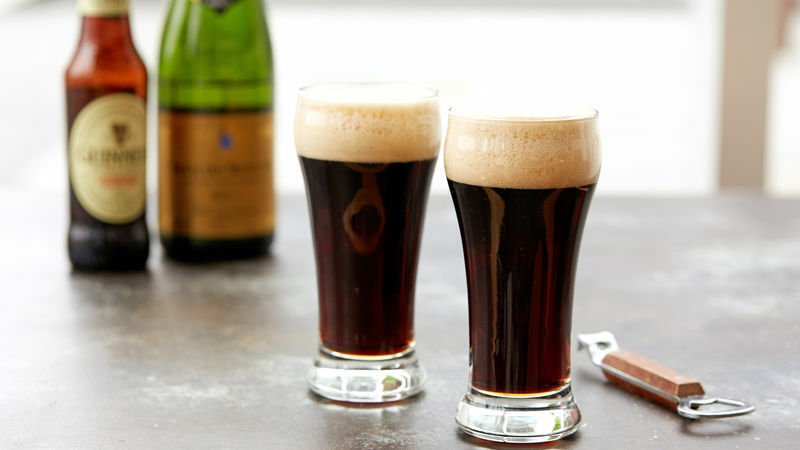 A Black Velvet is made by combining sparkling white wine (typically champagne) with stout beer, like Guinness™. It was originally created in London in 1861 to mourn Queen Victoria’s Prince Consort, Albert—the dark color symbolizes the black or purple armbands mourners wore.